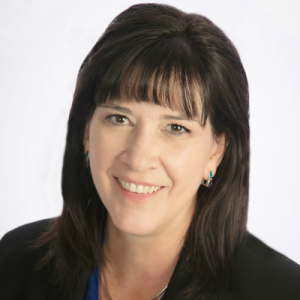 Welcome to the Print Shop and you’ll learn WHY the term ‘mind your p’s and q’s came from the printing business along with other interesting information. How difficult is it for you to produce the written word? In the United States of America we enjoy the right of ‘freedom of the press’ and though now it is quite easy to produce professional quality graphics and print virtually anything with the high tech equipment that is readily available, it didn’t always used to be this way. In fact if we roll the clock back some 150 years we find that though freedom of the press was the law of the land, printing was far from free. 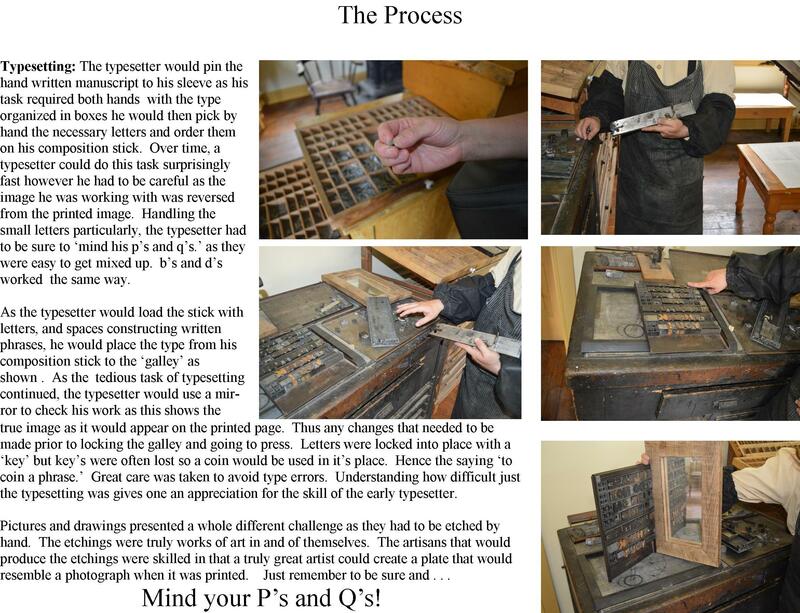 Do you know mind your P’s and Q’s came from the print shop? So did many of the terms we use today. I share many of these with you in this article that’s also full of pictures. Simply click over to the next page and I’ll share. Presses were expensive and very heavy. Setting up a print job was a tedious task and interestingly enough, a simple greeting card was so expensive that only the wealthy could afford them. 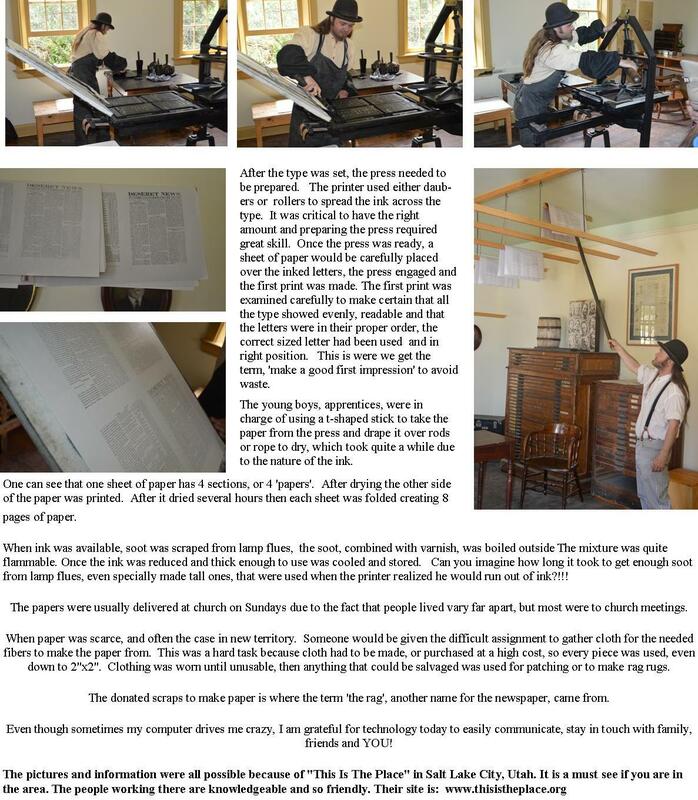 Color printing, of course, was unheard of in those days and yet it was the small town newspaper where people turned to get the news. To be a printer one had to apprentice from 5 to 7 years. During this time, one would learn the finer points of type setting and operating the press. 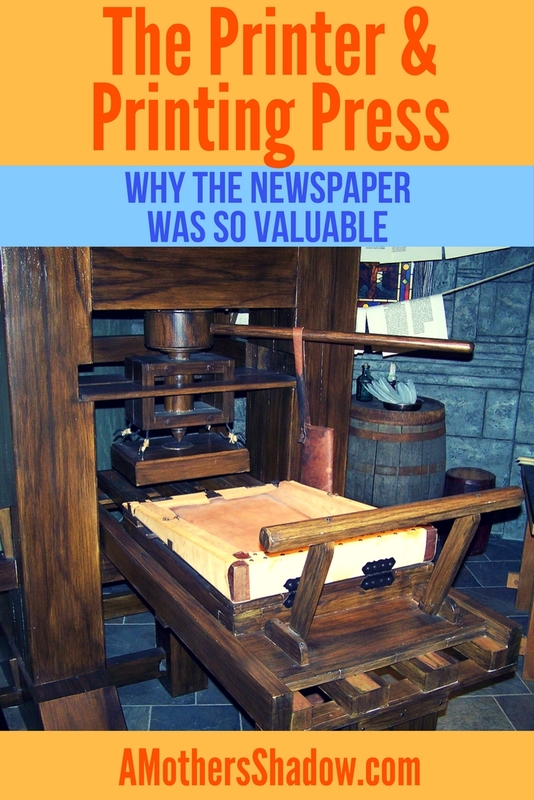 Though the process was much slower than what we see today, most newspapers were printed on a weekly rather than daily basis and the deadlines kept the pressman busy. After learning about how printing used to be done, I am SO thankful for how media works today! 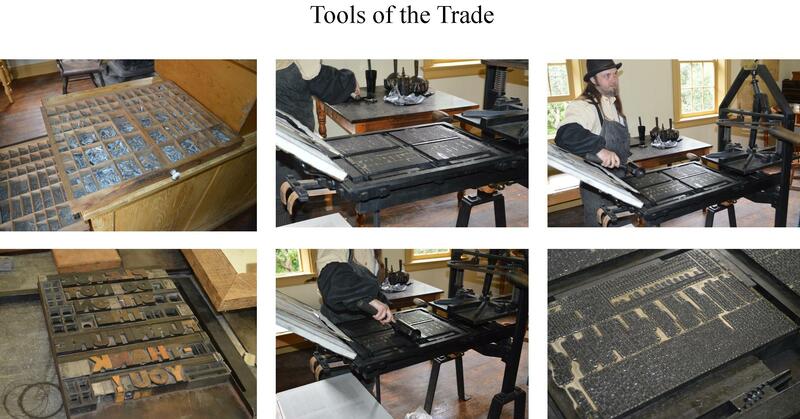 In the early 1800’s, and before, the print shop was an extremely important business as it was the way people gathered information and learned of current events. 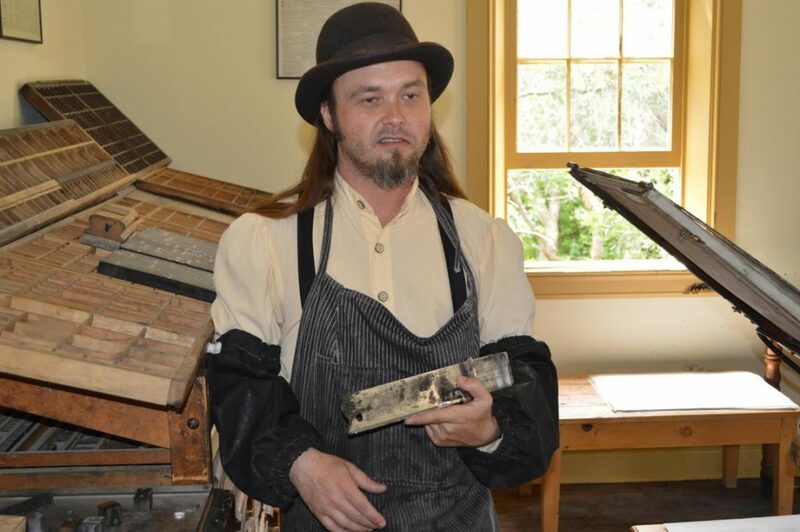 Would you like to know about the TINSMITH or the BARBER & DENTIST or the MOUNTAIN MEN RENDEZVOUS or GAMES PIONEERS PLAYED – simply click on each title and you will find pictures and more great information!